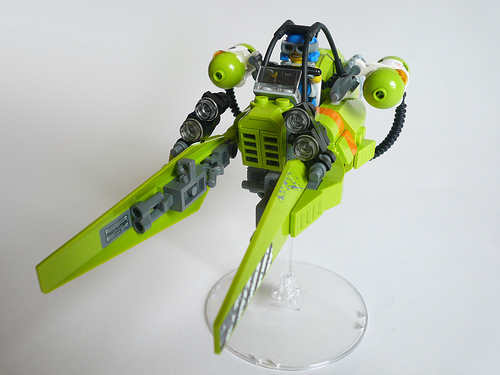 Jon Hall (jonhall18) recently built this fantastic speeder. It incorporates a lot of great angles, without looking like it’s a bunch of sections being forced together. Instead, it really appears as though the hull came from a factory in one piece. It also features just enough greebles inside of the fins to look good, without going overboard. The sticker use is also impeccable.